The Mullica River canoe and kayak trail is a favorite for paddlers looking for a longer journey through Wharton State Forest. 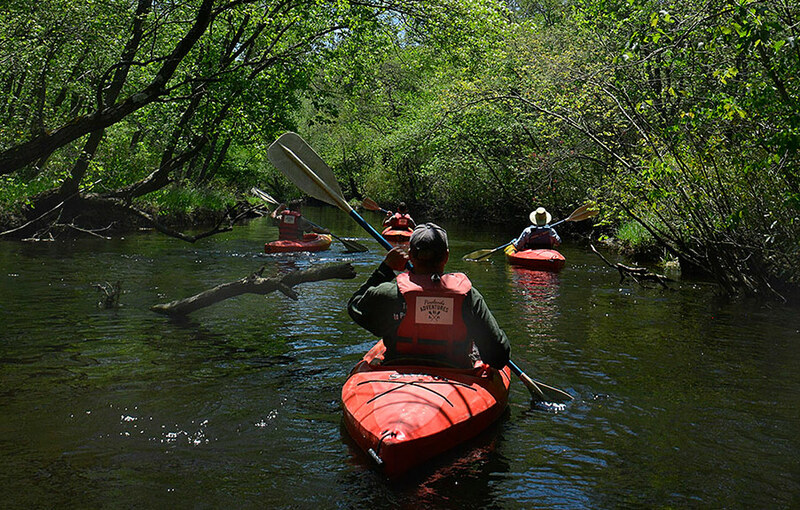 Paddlers on this trip begin at the Beaver Dam area and end at Pleasant Mills. Beginning at Lock’s Bridge,this trip winds 8 miles through the heart of Wharton State Forest to the take out at Pleasant Mills. Kayaking and canoeing is a truly incredible experience on the Mullica River. You’ll move through narrow passages surrounded by tall cedar stands, navigate the twists and turns before the rivers opens to wider areas fringed with beautiful white and yellow flowers of the water- lily and purple flowers of pickerel weed.